Most custom ROMs are built from the freely-available source code of AOSP, so they share a lot of common ground with stock Android. The difference, though, is the fact that Google adds many minor tweaks and finishing touches to AOSP while creating the version of Android that ultimately comes pre-installed on Nexus devices. Take the system sounds for example. When Google finished off its official Lollipop builds, they tossed in some professionally made ringtones, alarms, and notification sounds. They didn't, however, merge these changes upstream with AOSP, so custom ROMs are stuck with the sound files that were added to AOSP back in the Ice Cream Sandwich days. So developer Mike Dippel took these updated sound files from Google's version of Android 5.0 and put together a flashable ZIP that can be installed on top of almost any custom ROM. These sounds are definitely more mature, and fit in rather nicely with the modern look of Material Design. 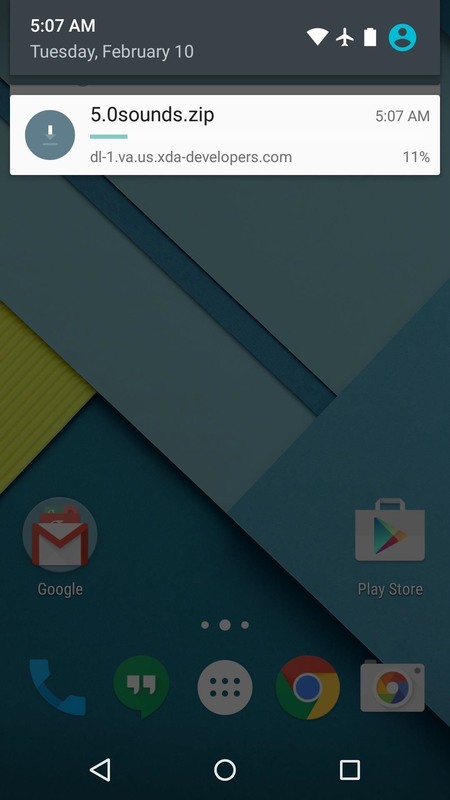 So if you're running a custom ROM on your Nexus 6, you should certainly give this one a look—or better yet, a listen. First up, head to this link from your Nexus 6, and the flashable ZIP containing the updated sound files should begin downloading immediately. When the file has finished downloading, boot your phone into custom recovery to install it. Most custom ROMs will have a "Recovery" option built into the power menu, but if yours doesn't, you can still do it manually. From a powered-off state, press and hold the volume down and power buttons. 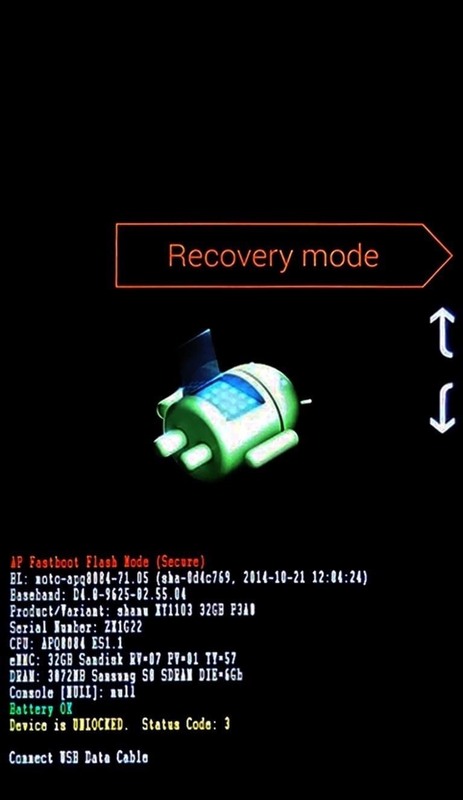 When Android's Bootloader menu comes up, use the volume down button to highlight "Recovery mode," then press the power button to select it. This ZIP is one you might want to hold onto for future custom ROM installs. When you're flashing Gapps or SuperSU after the main ROM file, you can just throw this ZIP in the queue and have the updated sounds from the get-go. 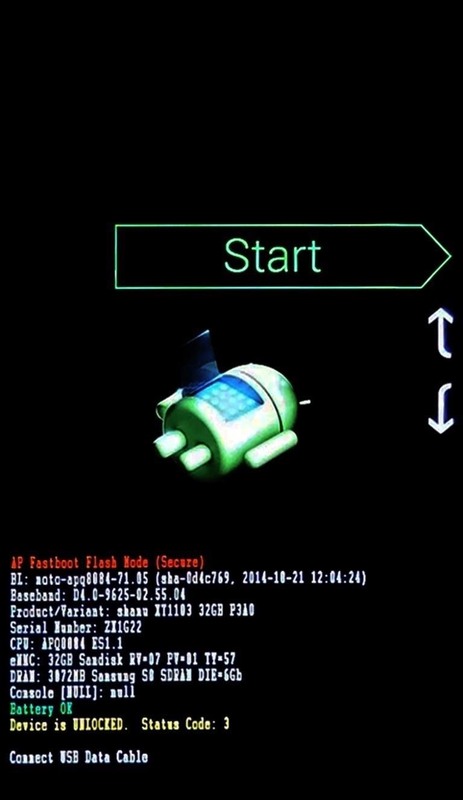 But if you've already flashed your custom ROM, you can still install this mod on top of it. 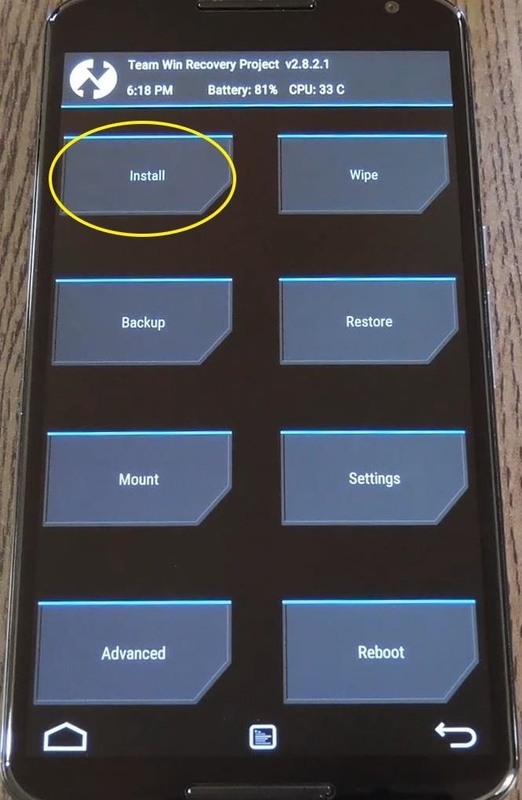 From TWRP's main menu, tap the "Install" button to begin. Next, head to your device's Download folder, then select the "5.0sounds.zip" file. When you get back up, you'll find the updated sound files in your regular ringtone picker menu. The newer sounds still have the same names as their older AOSP counterparts, so you might not see any difference, but you'll certainly be able to hear it. Which of these new Lollipop ringtones and system sounds is your favorite? Let us know in the comment section below, or drop us a line on Facebook, Google+, or Twitter. Hoping this will work on other devices. 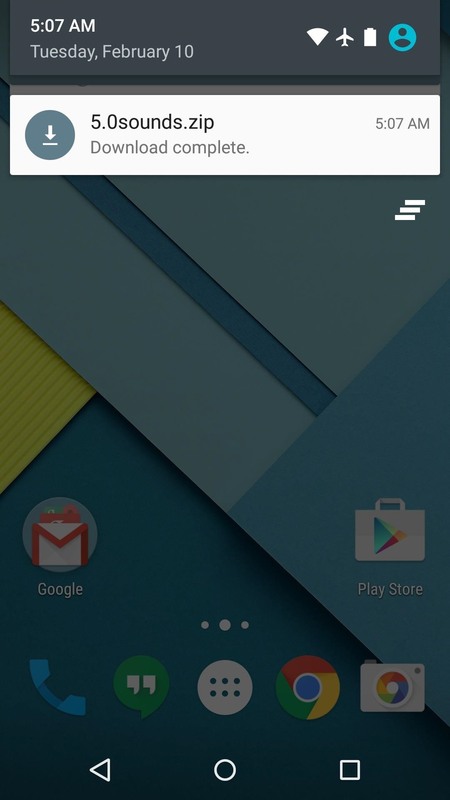 Would like to try it out on the GPe ROM for my HTC One M8.